Darjeeling: A majority of the Darjeeling municipality councillors on Monday sought the removal of the civic chief D.K. Pradhan, who is perceived to be close to Bimal Gurung, so that development work could resume. Political analysts pointed out that the move signalled the waning influence of the Gorkha Janmukti Morcha chief on the people of the hills and a rise in the popularity of Binay Tamang, who has been harping on development. 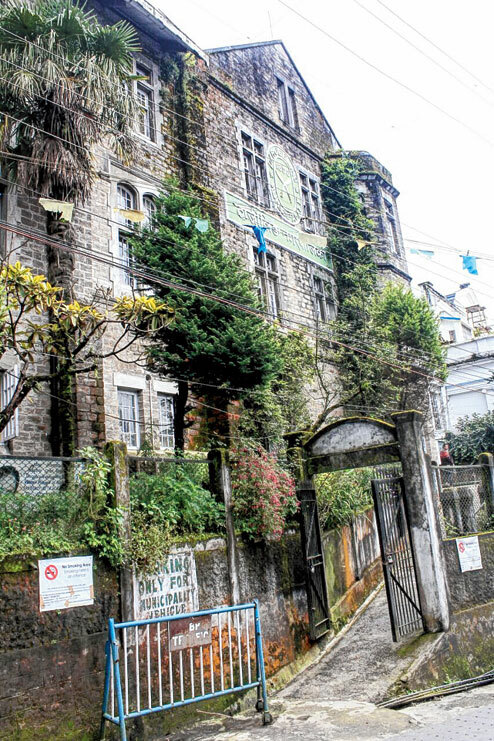 Sources said 28 of the 32 municipality councillors had adopted a resolution seeking the removal of Pradhan and submitted it to Arobindo Ghosh, the executive officer of the civic board. The councillors also asked Ghosh to forward the request to Darjeeling sub-divisional officer Aveek Chatterjee. Pradhan is currently in judicial custody for alleged involvement in various cases of arson during the recent Gorkhaland agitation. Of the 32 municipal commissioners in Darjeeling, two, including Pradhan, are in jail. The vice-chairman, Ramjung Golay, has resigned from his post. While 31 councillors are from the Morcha, one is from the Trinamul Congress. The letter states: "Due to the present development and due to the arrest of Sri Dhan Kumar Pradhan, chairman, Darjeeling municipality, the board of councillors have not been able to discharge its obligatory duties in desired manner so far." The councillors have sought Pradhan's removal according to the guidelines laid down in Section 18, sub-section 3, of the West Bengal Municipality Act 1993. SDO Chatterjee could not be contacted immediately for a reaction but sources said the request needed to be carefully looked into. While Section 18, sub-section 3, of the municipality act allows the removal of a chairman through a resolution "carried by a majority of total number of elected members", it puts a condition: "provided that no such resolution shall be moved before the expiry of six months from the date of assumption of office by a chairman". The Darjeeling chairman was sworn in on May 29 and the six-month period is not yet over. Nevertheless, the move signalled the growing influence of Tamang and Anit Thapa. "Even the councillors of Kurseong municipality have vouched support for the rebel camp but they have not yet sought the removal of (chairman) Krishan Limbu, who is also in judicial custody. The developments in Darjeeling clearly reflect the growing clout of the rebels," said an observer. Sources said Prativa Rai, the councillor of Ward 23, was the frontrunner for the chairman's post. A majority of the Darjeeling municipality councillors on Monday sought the removal of the civic chief D.K. Pradhan, who is perceived to be close to Bimal Gurung, so that development work could resume.